Learn from one of the country's tech giants. Glenn Richmond Ong, DIGITS’ Vice President for Customer Experience and Information Systems Management. Who would have thought that a humble computer shop would transform into one of the most successful tech giants in the Philippines? DIGITS Trading Corporation began as a modest computer shop sidelining as a gadget assembling hub. Charles Paw started the company back in 2002, carrying only his passion and grit, and envisioning a company that would become the foremost hub of gadgetry in the Philippines. 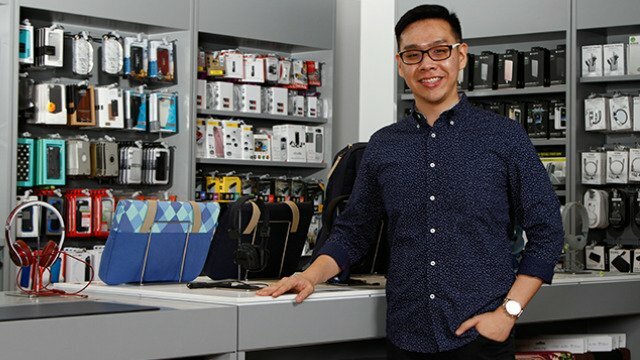 In time, the business included retail in its portfolio by launching Beyond the Box, which is an Apple Premium Reseller and Authorized Service Provider, and Digital Walker, which is the premier hub of gadgets and accessories in the Philippines. Additionally, DIGITS supplies to different dealers and organizations like Globe, Astrovision, and Lazada. Despite its current status, the path to success wasn’t easy. Glenn Richmond Ong, DIGITS’ Vice President for Customer Experience and Information Systems Management, says they faced various challenges, but the toughest and by far the most ironic was a backlog in their technology. Describing how their situation used to be, he talks about their cashiers still using manual receipts and their IT teams receiving hundreds of tickets a month regarding unstable Internet connection. When it was made clear that Internet connectivity was the most pressing issue, they decided as a company that investing in a stable and strong Internet connection was a must. Thus, they did a scan of four vendors selling network connectivity solutions, before finally deciding to go with Globe Telecom’s offered solutions. Globe’s Managed Wi-Fi and wired connection were installed in their head office, a process which Globe took care of through network rehabilitation of the entire building. The company also subscribed to many other digital solutions, such as service units relying on Globe postpaid, the use of G Suite (which Google hosts in partnership with Globe), and managed CCTV in their warehouses. More than anything, having reliable Internet connection has worked wonders for DIGITS’ owner and its employees. It provides them with a sense of assurance that whenever they work on something, the work that they have put effort into won’t go to waste. Glenn states that this has improved productivity and allowed them to look forward to optimizing their other business operations through digitization. More than just technology, it’s human capital that makes digitization effective. Glenn describes how some people in the company weren’t tech-savvy prior to utilizing these solutions, and how he trained them to use solutions like G Suite and a Managed Wi-Fi system. When asked about his advice to other businesses looking into digital solutions, he urges them to be open to new things. Some people can become close-minded once they are asked to invest in something, so he encourages them to take a look and understand how even expensive products can benefit their businesses. Finally, he adds that it’s important to focus on the people you work with. When you’re a leader, you need to be on the same level as your team and understand their pain points, so that you know the issues that need to be addressed. He also encourages his fellow leaders to talk to their people—not just to follow up about work, but to ask them how they are, understand what motivates them, and get their feedback. These things, he says, were the key to DIGITS’ success. For more information on optimizing your own business with digital solutions and business tools, visit mybusiness.globe.com.ph.